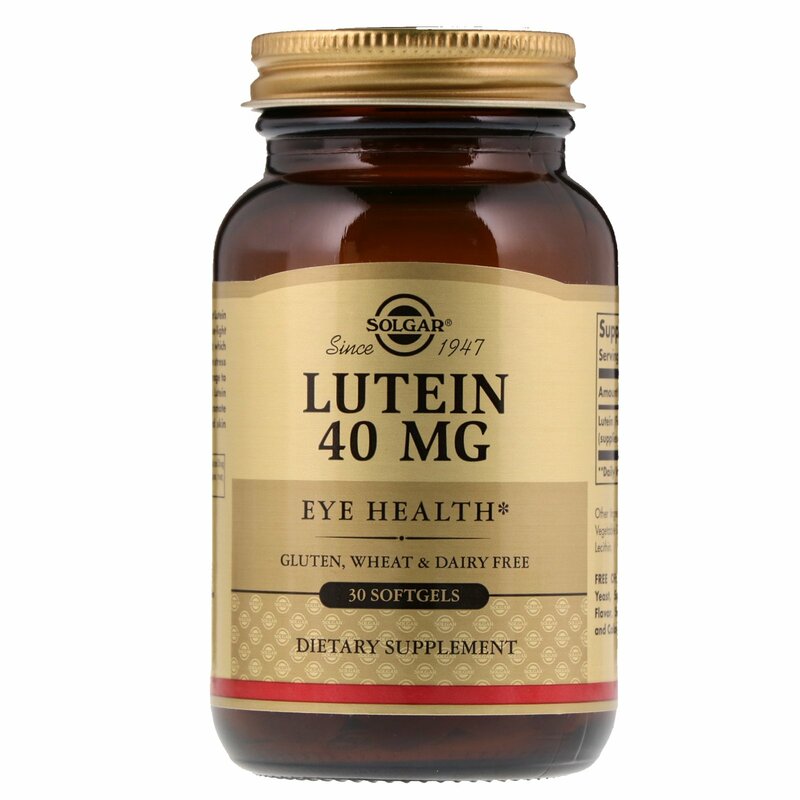 Scientific evidence indicates that Lutein helps filter out high energy blue-light from the sun and artificial light, which may otherwise induce oxidative stress and possible free- radical damage to the eyes and skin. Solgar's Lutein 40 mg was developed to promote eye health, healthy skin and skin hydration. 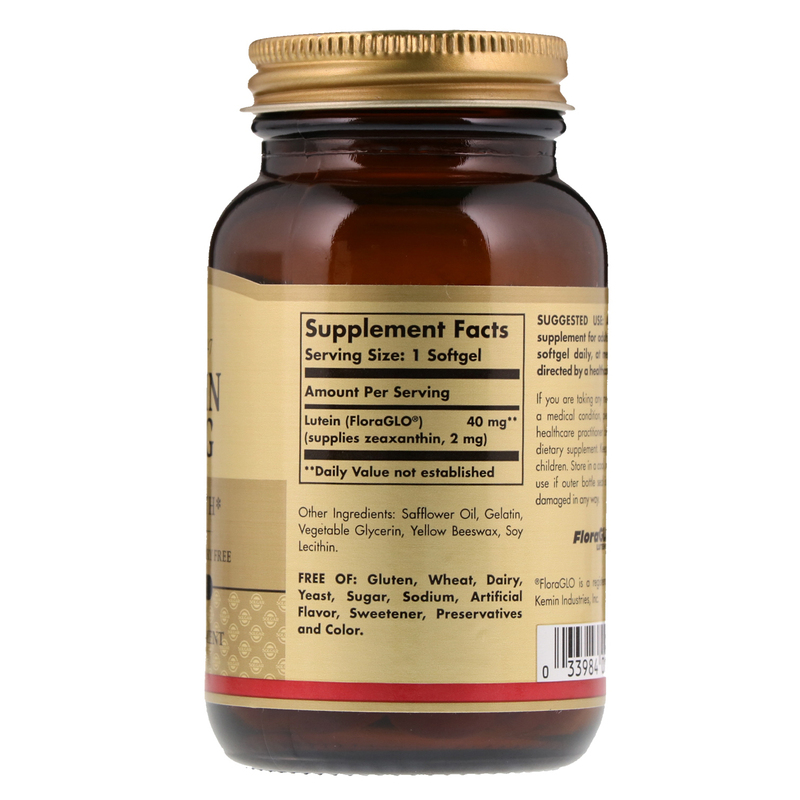 As a dietary supplement for adults, take one (1) softgel daily, at mealtimes, or as directed by a healthcare practitioner. Safflower oil, gelatin, vegetable glycerin, yellow beeswax, soy lecithin.